Let us do the baking this holiday season! Fall is officially here and soon the Holidays will be too! 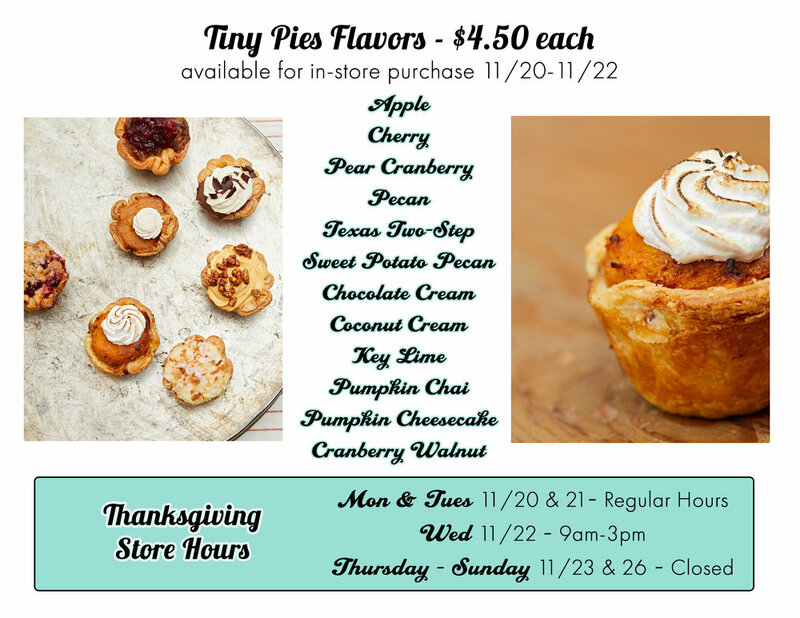 Sometimes they can be stressful but Tiny Pies is here to eliminate some of that hassle! So don't worry about the pie, we've got you covered! Our Thanksgiving menu is out & things looks delicious! Click below to order!